What will you do, if you left out on a lonely planet with limited resources? This is the main theme of upcoming Hollywood science fictional movie The Martian. The Martian is based on famous novel by Andy Weir with same name. The Martian is directed by Ridley Scott, and produced by Mark Huffam, Simon Kinberg, Michael Schaefer, Ridley Scott & Aditya Sood. The Martian star-cast includes Matt Damon as Mark Watney, Jessica Chastain as Melissa Lewis, Kristen Wiig as Annie Montrose, Jeff Daniels, Michael Peña, Kate Mara, Sean Bean, Sebastian Stan, Donald Glover, Chiwetel Ejiofor, Naomi Scott, Aksel Hennie, Mackenzie Davis, Lili Bordán and Nick Mohammed. 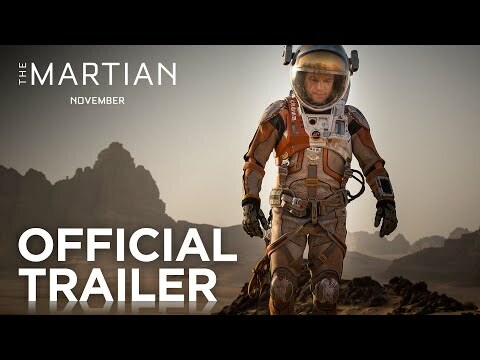 The Martian movie release date is 27-Nov, 2015. During a Mars mission, the crew got into a fierce storm. While attempting to save their lives, an astronaut Matt Damon is left behind, and everyone considered him dead. The rest of team evacuate the planet, and head back to earth. Matt found himself alone on Mars with limited resources. He is left with his wits, intelligence and high spirit. During his different attempts to survive, he founds a way to send back signals to earth, knowing the fact that if his survival is made known, no realistic rescue will be attempted. The Matt’s teammates concurrently plot a daring, almost impossible mission to save Matt Damon. As the stories of incredible bravery unfolds, whole world unites for safe return of the Martian.